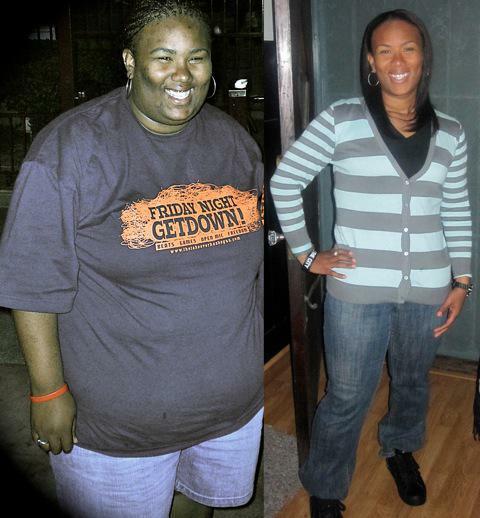 Q&A: ANY ADVICE ON HOW I SHOULD PREPARE MYSELF FOR A TUMMY TUCK? 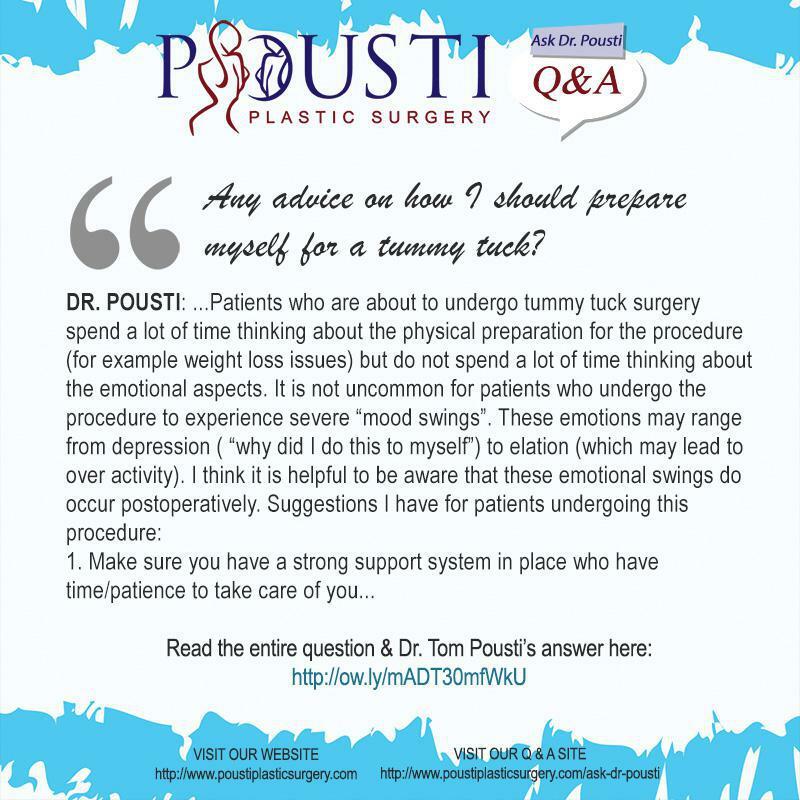 Pousti Plastic Surgery Blog Q&A: ANY ADVICE ON HOW I SHOULD PREPARE MYSELF FOR A TUMMY TUCK? "I am so ecstatic about getting my tummy tuck done next week after having waited for a very long time." DR. POUSTI: Tummy tuck preparation..
You will receive a list of things to do (and not to do) in preparation for your tummy tuck surgery, from your surgeon. I do however have a word of advice for you that you may not receive from your surgeon. Patients who are about to undergo tummy tuck surgery spend a lot of time thinking about the physical preparation for the procedure (for example weight loss issues) but do not spend a lot of time thinking about the emotional aspects. 5. Keep in close communication with your surgeon and do not hesitate to communicate questions/concerns and the emotional swings that you may experience. 6. Keep in mind the end result!